What’s the difference between bad and good writing? How important is it for a writer to be able to discern the difference between good writing and bad writing? Pretty important, if you ask me. I know some writers aren’t concerned with quality. In today’s do-it-yourself and get-it-done-fast world, quality plays second fiddle to quantity. Who cares if your books are full of typos, bad grammar, and poor logic as long as you have published lots and made a bunch of money? Readers care. Agents, publishers, and reviewers also care. And while you can still make a million with a bunch of badly written books and a stellar marketing scheme, your work won’t be taken seriously. Also (and this is critical), while it’s possible to make it big by writing badly, it’s not likely. It happens, but it doesn’t happen often. 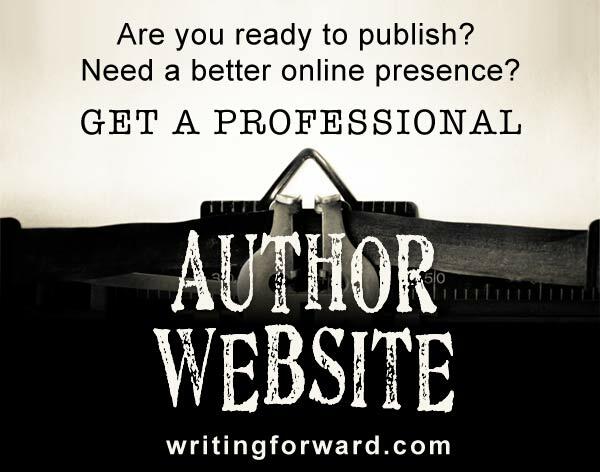 The better your writing, the better your chances for securing a readership and building a career. Clarity and focus: In good writing, everything makes sense and readers don’t get lost or have to reread passages to figure out what’s going on. Focused writing sticks with the plot or core idea without running off on too many tangents. Organization: A well organized piece of writing is not only clear, it’s presented in a way that is logical and aesthetically pleasing. You can tell non-linear stories or place your thesis at the end of an essay and get away with it as long as your scenes or ideas are well ordered. Ideas and themes: Is the topic of your paper relevant? Does your story come complete with themes? Can the reader visualize your poem? For a piece of writing to be considered well crafted, it has to contain clearly identifiable ideas and themes. Voice: This is what sets you apart from all other writers. It’s your unique way of stringing words together, formulating ideas, and relating scenes or images to the reader. In any piece of writing, the voice should be consistent and identifiable. Language (word choice): We writers can never underestimate or fail to appreciate our most valuable tools: words. Good writing includes precise and accurate word choices and well crafted sentences. Grammar and style: Many writers would wish this one away, but for a piece of writing to be considered good (let alone great), it has to follow the rules of grammar (and break those rules only when there’s a good reason). Style is also important in ensuring that a piece of writing is clear and consistent. Make sure you keep a grammar book and style guide handy. Credibility or believability: Nothing says bad writing like getting the facts wrong or misrepresenting oneself. In fiction, the story must be believable (even if it’s impossible), and in nonfiction, accurate research can make or break a writer. Thought-provoking or emotionally inspiring: Perhaps the most important quality of good writing is how the reader responds to it. Does she come away with a fresh perspective and new ideas? Does he close the cover with tears in his eyes or a sense of victory? How readers react to your work will fully determine your success as a writer. I want to add an honorable mention for originality. Everything has been done before, so originality is somewhat arbitrary. However, putting old ideas together in new ways and creating remixes of the best that literature has to offer is a skill worth developing. To write well, a writer must be able to recognize quality in a piece of writing. How can you assess or improve your own work if you can’t tell the difference between mediocre and better writing in others’ work? Writing is also an art form and therefore subject to personal taste. Can you read a book and dislike it but acknowledge that the writing was good? Have you ever read a book and loved the story but felt that the writing was weak? A writer should be able to articulate why a piece of writing succeeds or fails, and a writer should also be able to recognize the qualities in a piece of writing even when it doesn’t appeal to personal taste. These skills are especially necessary when writers are reviewing or critiquing other writers’ work and when revising, editing, and proofreading their own work. Where do you stand? Do you rate other people’s writing? Do you worry about whether your own writing is any good? Would you add or remove any characteristics of good writing from this list? Share your thoughts by leaving a comment, and keep writing. Everything you say makes sense but it’s courage I now seek to acquire as well as certain’ devil may care attitude . Courage and self belief and wee bit of discipline. 2012 might just be the year ! Michelle, I actually think it’s healthy to have dreams that we don’t fully intend on pursuing. It’s good for the imagination! A person might be interested or passionate about dozens of things and cannot possibly make careers out of them all. But courage is something else… and I don’t think anyone can give you courage. You have to find it within yourself. 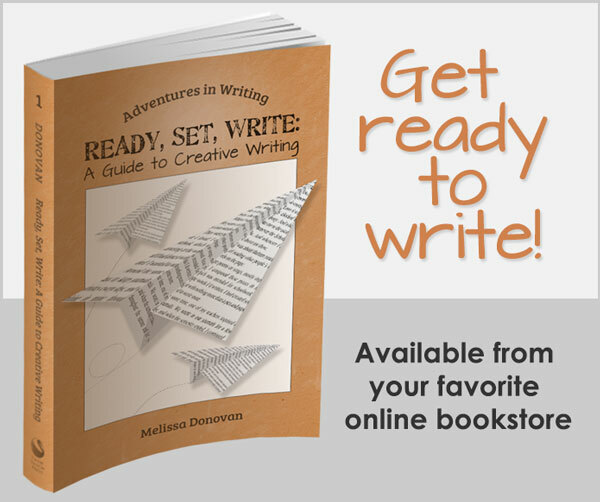 The first step is to decide that you are going to brave the writing career. After that, you muster up the courage. It’s there inside you, and if you really want it, you’ll find it 🙂 Good luck to you! Good one, Michelle, and needed too. So many blog posts on how to drum up business or write enticing posts or articles, or even how to avoid embarrassing grammatical errors (not that those are not important). I love the freedom an informal style of modern English. But sometimes I worry a bit that contemporary readers are being fed to many tiny sentences to appeal to an ever-diminishing attention span. A good list you have there. Maybe I would add that I value fluency. That adroit facility of the accomplished writer who’s covered miles of (digital) paper and now can write not only accurate and clear words and sentences but also compelling and memorable prose. Ah, fluency is definitely necessary to good writing, although I think it comes with experience, so it might only apply to older or more advanced writers. Great food for thought, Bill. Thanks! That quote could spur a debate, I’m sure! Thanks for sharing it, Michael. I’m going to give Oscar Wilde’s idea some serious consideration. I’m reading a book right now with a story line that I don’t particularly care for. Eight chapters into it, I’m not fully invested into the story. BUT, the author’s grasp of human emotion/interaction and her ability to explicate the nuances with clarity is brilliant. That fact alone keeps interested and pulls me forward. Ah! I’ve been there too! This is a very well written blog, and the advice is good for teaching people how to get their points across. However, my problem is not that I can’t tell good from bad; apparently I’m quite good at assessing the quality of other authors’ writing and helping them iprove it. My problem is that though I love writing and am proud of my plot lines and characters, I don’t have a way with words and I just can’t write. Does anyone have any advice on how to make things WORK once you have everything planned out, or am I doomed to the life of an author who can’t write? How do really know your writing is bad? If you’ve got a plot that you love, characters that are filled with layers and truth, set them free! Turn off those negative thoughts and just run with it. Write your story through to the end. If you believe in what you’ve got so far then let it lead you. You will surprise yourself. You proved with your post above that you can convey feeling, let your characters have their voice. Take a deep breath and jump/write!! Best of luck and courageous hugs! My guess is that your way with words isn’t as bad as you think. I didn’t have any trouble understanding what you wrote. However, if you want to strengthen your skills in vocabulary, word choice, and sentence structure, there are two things you can do: read as much as possible and engage with poetry. Pick up an introductory book on poetry and you’ll learn tons of techniques in this area (which you can apply to fiction and nonfiction). This one can be expensive but it’s worth every penny: Perrine’s Sound and Sense. Good luck to you! Thank you, both you and Beckie. That’s really good advice. 🙂 I’ll try to be more positive. Yes! Keep your chin up and stick with it. I’ve been perusing your site all morning. I’ve found some terrific tips, some very well-thought common sense approaches to working through difficulties in writing. And as soon as I push the submit button on this I’ll be subscribing! Though I’ve been published and produced, I find myself in an almost constant state of questioning even the most basic ability to write. On the one hand, a local critic stated “proves he can write” and “there’s a simplicity in the writing that is quite refreshing.” On the other hand, I face a writer’s group (all women) each week who continually tell me my writing is sorely lacking because there aren’t enough issues (conflicts) in any given piece and therefore the characters do not exhibit enough “emotional levels.” Facing this type of weekly demolition has made me think I need to go back to doing what I used to do (before I became unemployed! ): write for my own enjoyment and forget about any further publishing. Hmmm, Paul, possibly find a few dudes for your critiques? Also, are the women published? Have good reviews themselves? Read widely in your genre? Men and women do sometimes have widely varying ideas of what makes a good story. You may be writing good, solid, plot-driven adventures (I don’t know–maybe you’re into steamy historical romance) that don’t rely on a lot of emotional nuance. I’d look for beta-readers who understand what you are trying to accomplish. Or take the girls with a big grain of salt and use what seems to deepen your own writing while recognizing that women’s brains are different. We have bizarre and incomprehensible ideas about relationships and whatnot. I read an interesting theory from the creators of the Dramatica Pro story outlining software about how a “masculine” character (or story) is about getting from point A to Point Z while overcoming every obstacle in between whereas a feminine character (or story) is about getting everything into balance and restoring chaos to equilibrium. Both perfectly fine stories. (I prefer the masculine-type storylines myself). Post those good reviews and read ’em every day. I have some really nice rejections that I savor whenever I’m feeling inadequate. Two of the ladies have been published but have no reviews of their work. All have complimented the basic plot lines. Their big complaint would seem to fall into the theory from Dramatica Pro you mention; they are looking for every female character to make absolute sense to them strictly within their belief structure of how the characters should/must react to a particular situation. Otherwise, they give solid line-edit critiques and they do point out the occassional hole in content. None of them read within my genre – if I even have one, that is. I’d classify my novels as “budscapades” (you like my mash-up moniker?) – in other words the main characters are male (female characters do show up along the way) and they are definitely plot driven stories. In entering the Amazon Breakout Book Award Contest, I classified the novel as “bromantic comedy” (plenty of action for guys with a hint of romance for women). Both your suggestions are solid. I’m sticking with the ladies but will weigh their critiques carefully before implementation and I’ll have to find some men who can show the same amount of weekly dedication to the process. Thanks Paul! I think that critique groups can be immensely beneficial, but I also think that each writer has to decide which feedback to apply and which to discard. Objectively, there’s good writing and bad writing, but subjectively, we all have our opinions and preferences. I guess you have to decide whether you want to step up the emotional levels in your characters and add more conflict or if you want to keep your work minimalist. Here’s what matters: once you do publish, unless you are looking for awards and accolades, the trick is really to find your audience. And there is an audience for everything (as popular culture demonstrates). You might also take a hard look at what the others in your writing group are producing and ask whether this group is a good match to your writing style and needs. You can also ask one of the women in the group to work more closely with you to bring those emotional levels up, if you think you’d like to stretch yourself and experiment a little. Final word of advice: do not give up on writing or publishing. Forge ahead! You might even look for a creative writing class or workshop — you’ll get a broader range of feedback. And thank you, Melissa (not Melissa-me, Melissa-you) for putting some analysis into the question of what makes good writing. I get so frustrated with the “Good writing is subjective; it’s just what you like or don’t like,” crowd. The more you study writing, the more you begin to see the difference between good vs bad. The difficulty, I suppose, is because writing is as complex as any other language. It’s too complex to learn by having the rules explained to us by helpful parents, “Now dear, this is a verb. It always goes after the subject. Is it time to make a poo-poo?” We learn the rules of spoken language by hearing it at a time when our brains are primed and programmed to take it in. Many people don’t start learning to read or write until after that language window is closed. Those of us who learned to read at the same time we were learning to talk have an advantage. Yes, I’d have to agree that the younger we are when we are taught to read and write, the more naturally it comes. There is much about writing that is subjective, but I believe there is plenty that can be assessed critically and objectively: grammar, spelling, and punctuation, for starters. I have to admit, I share a lot of the insecurities that I have read in the comments here. I’m pretty young and new to the game, and I’m worried that even if I somehow finish this idea that I have (non-fiction) I wont be taken seriously given my lack of a college degree. I have this internal conflict raging in my subconscious, so much so that I’m starting to have dreams about it. Do I go ahead and share my thoughts with others or should I keep them to myself? It doesn’t help that I have a fear of failure, I suppose. Writing is where I clarify my ideas and feelings, and I’m afraid that my work will be ripped apart by people that dislike it or dismiss my thoughts, mostly because I’ll take it as them dismantling my soul. Does anyone else feel this way? As I’m writing this I’m slowly realizing that I think that what I need is a little encouragement from people that don’t know me. Man, writing is awesome! Even if you have a degree, people can still rip your ideas apart. I believe strongly in the value of higher education, but I also know (for a fact) there are plenty of folks with degrees who lack common sense or good hearts. And there are plenty of bright people with good hearts and common sense who do not have degrees. Then again, if you’re that torn up about not having a degree, why not just go get one? As for failure, everyone’s afraid of it. I don’t think we’re meant to eliminate the fear. It’s more a matter of moving forward even though we are afraid. I would say that if you publish a book, some people are not going to like it. That’s just the way it is. So what? Focus your attention and energy on all the people who do like it. If you work hard and write, and put it out there (and do your marketing), you’ll find your audience. Embrace them, and don’t worry so much about everybody else. Good luck to you! Writing well is the price of admission. But beyond the basics is where it gets squishy. Eudora Welty said something like “You’re only writing when you surprise yourself”. What does that mean? You write until you discover. I don’t know–I would say you’re only writing when you’re putting words on the page. Surprises and discoveries are bonuses in the writing process for me. Maybe it’s because I write a lot of nonfiction, which isn’t full of discovery or surprise the way fiction is. Great article. I’m going to link to it on Reddit!